If you have big New Year’s resolutions to get fit and into shape, the following Bluetooth wireless body scale can help you keep track of your progress seamlessly. 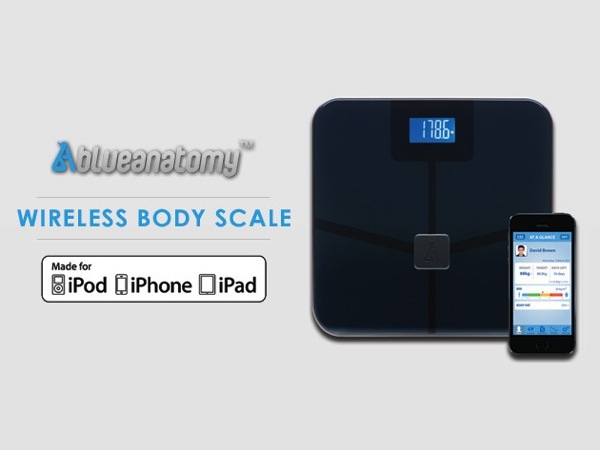 The sleek Blue Anatomy wireless body scale is currently on sale for 23% off in our Deals Store, at $99 which includes free shipping to Canada and the USA. This scale connects to your iOS or Android device via free companion apps which let you track your weight, fat, BMI, water, muscle and bone indexes so you really know if you’re shedding pounds or staying fit. Track + Graph + Share – Keep tabs on all your important readings with the convenience of your mobile device through the BlueAnatomy™ app. Computer-Free Setup – No need to connect to a computer or download software: the scale communicates directly with your mobile devices so start taking measurements in just 3 easy steps right out of the box. Easy to Use – Beautiful, thin, ergonomic design has no unsightly buttons or electrodes, so all controls are through your mobile device. BlueAnatomy App – Add new or edit existing data and take notes after each set or readings all through the app. 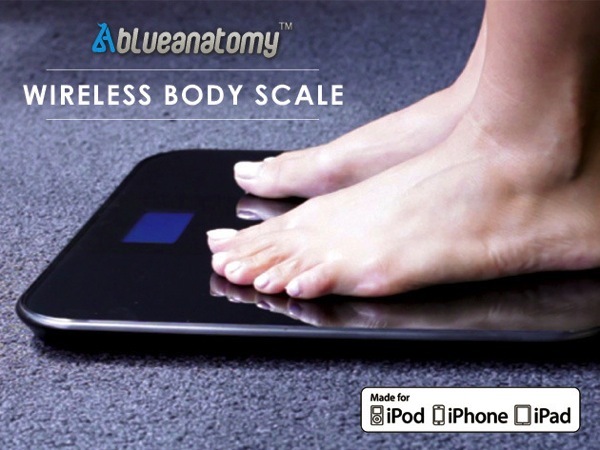 Click here to jump on the Blue Anatomy wireless body scale while it’s still available and make your fitness and health goals come true for 2014!